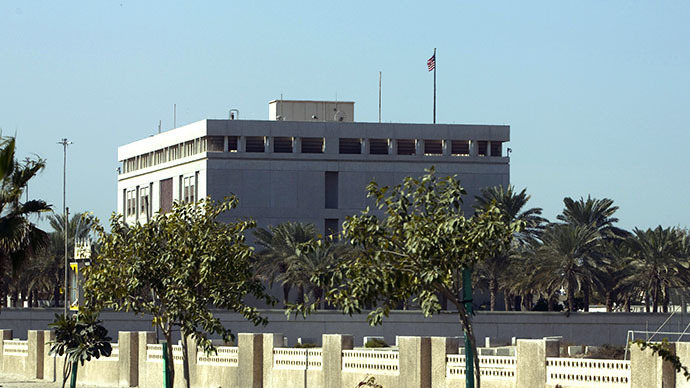 Intercepted communiques between Al-Qaeda leadership and its affiliated branch in Yemen have led to major terror alert at US diplomatic sites. But some doubt that the lockdown of almost all the posts is proportionate to the threat. 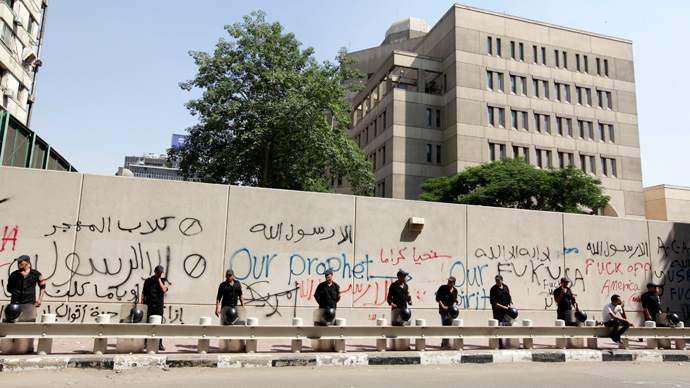 Last week the Obama administration took the unusual step of closing about two dozen diplomatic facilities throughout the Middle East and Africa, as well as issuing a worldwide travel alert. Those actions were followed by similar moves by the UK’s Foreign Office, which on Friday advised British nationals to leave Yemen if possible. France, Germany and Norway have also announced closures of some of their missions in the region. 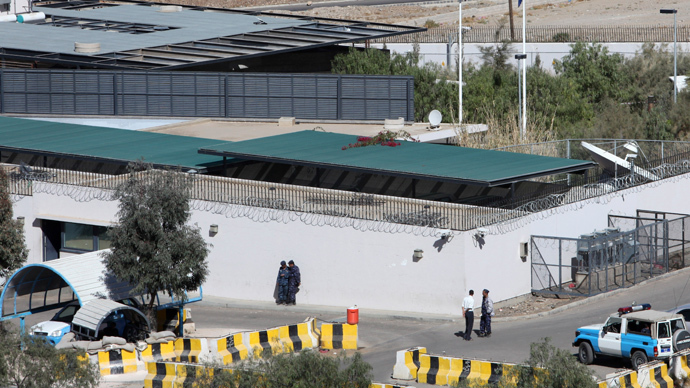 On Tuesday the State Department ordered that the US embassy in Yemen evacuate its non-essential staff due to “the continued potential for terrorist attacks.” It also issued a warning to US citizens to depart the country immediately. 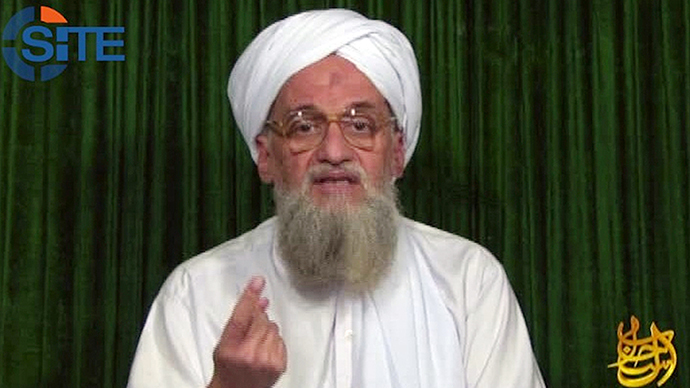 It is now thought that an uptick in chatter from the head of Al-Qaeda, Ayman al-Zawahri, speaking from Pakistan with Nasser al-Wuhayshi, the head of Al-Qaeda’s Yemen group, revealed an impending attack, as early as this past weekend. According to the New York Times, the conversation between the two leaders was considered “highly unusual” and immediately led the State Department and the White House to act, prompting members of Congress to indicate last week that a credible terrorist plot was already underway. “This was significant because it was the big guys talking, and talking about very specific timing for an attack or attacks,” said one American official who spoke with the New York Times. The State Department on Sunday announced that it was closing an additional 19 diplomatic offices through next Saturday due to continued intelligence suggesting an imminent threat, but not due to additional information which set off increased precautions since last week. The latest closures were “merely an indication of our commitment to exercise caution and take appropriate steps to protect our employees and visitors to our facilities,” according to the State Department. Meanwhile, a senior Obama administration official had indicated to CNN on Monday that Special Forces units overseas had been on alert for the past several days for a potential attack on Al-Qaeda targets. Those units had been placed on heightened alert by Defense Secretary Chuck Hagel as of last week, as US intelligence continued to examine the details of the credible threat. 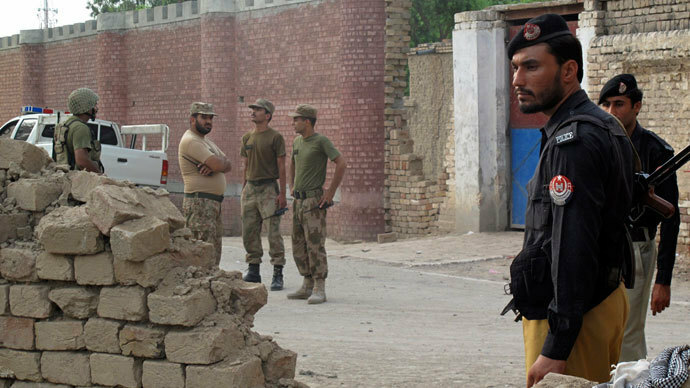 Speculation on potential US targets seemed high over the weekend, with an anonymous Western diplomat speaking to the New York Times saying the American mission in Islamabad, Pakistan had received unconfirmed reports that militants had assembled in the Margalla Hills overlooking the city. “But there’s no guarantee of that at all. It could basically be in Europe, it could be in the United States, it could be a series of combined attacks,” added King, who is a member of the House Intelligence Committee. The broad scope of the potential threat indicated that the only solid point so far was that the alleged terrorist plot was centered on Al-Qaeda’s Yemen branch, generally considered the deadliest element of the network by US analysts. The news of the intercepted Al-Qaeda chatter came as debate continues in the US over the reach of NSA surveillance programs and its justification by national security benefits. At the focus of criticism was the agency’s use of powers granted by the Patriot Act for bulk domestic electronic surveillance. After the latest terror alert, some proponents of NSA surveillance tactics were quick to say the news speaks for the agency’s case. "These programs are controversial, we understand that," Republican Senator Saxby Chambliss told NBC's Meet the Press on Sunday. "But they are also very important … If we did not have these programs, then we simply would not be able to listen in on the bad guys." Opponents disagree with that reasoning and criticize those linking the threat with NSA domestic surveillance. "While I can't go into specific details, the vice chairman of the Senate Intelligence Committee noted yesterday that this information was collected using Section 702 of the Foreign Intelligence Surveillance Act, rather than the Patriot Act,” said Democrat Senator Ron Wyden as cited by The Guardian newspaper. “I still haven't seen any evidence that the NSA's dragnet surveillance of Americans' phone records is providing any unique value to American counterterrorism efforts." Some alleged that the shutdown of US embassies and the media hype it caused may have been blown out of proportion. “The NSA takes in threat information every day. You have to ask, why now? What makes this information different?” asked Amie Stepanovich, a lawyer with the Electronic Privacy Information Center. "The NSA's choice to publish these threats at this time perpetuates a culture of fear and unquestioning deference to surveillance in the United States." The range of diplomatic facilities affected by the alert seems a bit baffling, argues The Washington Post. While the focus of the security beef-up seems to be in the Persian Gulf region, the closures also included some unlikely locations. Among those are Rwanda and Burundi, two Central African countries with small Muslim minorities and little experience with Islamist extremism or terrorism. The US recently opened a new fortified embassy in Burundi and moved embassy staff in Rwanda to a new high-security building, so in both countries the diplomatic personnel are apparently well-protected. There is also hardly any apparent explanation for the closure of diplomatic sites in Madagascar and the tiny Indian Ocean island nation of Mauritius, the newspaper adds.